As the Zambian government deploys increasingly harsh measures to slash opposing political voices, critics fear that the country is on a slippery slope towards a dictatorship. Last week, the speaker of Zambia’s national assembly, Mr Patrick Matibini, suspended 48 opposition MPs from parliament for a duration of 30 days. According to Matibini, the MPs had to be punished for their “unauthorized absence” from parliament when President Edgar Lungu had delivered his state of the nation address on 17 March 2017. Following opposition leader Hichilema’s questioning of the legitimacy of the election result last year, the leader of Zambia’s United Party for National Development (UPND) was arrested earlier this year and has been kept in detention since. An increasing number of critics, including church groups, have voiced their concern regarding the president’s gradually oppressive measures towards dissident voices. The president’s crackdown on the opposition and any other dissident voices also severely affects the Barotse people, with scores of Barotse human rights activists having become victims of state-sponsored violence and arbitrary detentions. Last week Zambia’s national assembly speaker Patrick Matibini took the dramatic step of suspending 48 opposition MPs from parliament for a period of 30 days. Their crime? The MPs needed to be punished for their "unauthorised absence" from parliament on March 17 , when president Edgar Lungu delivered his state of the nation address, Matibini said. Opposition leader Hakainde Hichilema has been in prison since April . He faces treason charges after opposition vehicles failed to make way for Lungu’s motorcade. 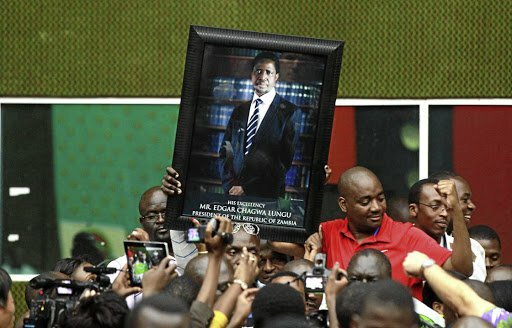 Zambia, with a reputation for political stability, now faces a chorus of criticism over Lungu’s moves to crack down on dissent. The suspended MPs had boycotted Lungu’s address, saying they did not recognise his legitimacy as an elected leader. This came after Zambia’s constitutional court failed to hear an election petition filed by Hichilema after presidential elections last August. Hichilema’s United Party for National Development (UPND) challenged the election result, but its petition was thrown out on a technicality. Hichilema and his fellow UPND MPs have refused to attend sittings of the national assembly whenever Lungu is present. They acted similarly in September, when he opened parliament. Many interpret the suspension and treason charge as a crackdown on the opposition. Electoral expert McDonald Chipenzi says that by suspending the MPs, the national assembly speaker "is using oppressive means" to force them to accept the president’s authority. Since a late-night raid on Hichilema’s home by heavily armed police who used unprecedented force, the US, EU, Nigeria, Kenya, SA and Zimbabwe have condemned his detention. Some have suggested the treatment of Hichilema marks the beginning of a slide to dictatorship. Zambian officials last month barred DA leader Mmusi Maimane from entering the country, saying he was blocked because of his support for Hichilema. Inside Zambia, civil society organisations are scathing of government’s actions. The Oasis Forum, an umbrella group of civil society organisations, has criticised the lack of tolerance. Its chair, Linda Kasonde, says Zambia’s democracy is "slipping away while many of us watch along the sidelines, feeling helpless, voiceless and afraid". Kasonde says the executive, legislature and judiciary are failing to meet the expectations of Zambians. Church groups have also strongly criticised the president. dictatorship, then what is it?" Zambia Conference of Catholic Bishops president Telesphore Mpundu said after Hichilema’s arrest. "Our political leaders in the ruling party often issue intimidating statements that frighten people and make us fear for [now and the] future." Mpundu’s fear extends to government’s closure of media houses such as Muvi Television, Post Newspapers, Komboni Radio and Itezhi Tezhi Radio, which were critical of Lungu’s administration before and after the 2016 elections. The Conference of Catholic Bishops has teamed up with the Evangelical Fellowship of Zambia and the Council of Churches in Zambia to condemn the arrest of opposition leaders and threats to those who have expressed opposing voices. Speaking for the three organisations, Mpundu said at a recent press conference: "The state of the nation is a dictatorship in which force and violence are used to intimidate the population and subdue opposition of any kind by means of institutions such as the police, Zambia Revenue Authority, the judiciary and the legislature." The religious groups went on to call for dialogue. "Intimidation, threats, arbitrary arrests, even the state of emergency promised us by the president cannot succeed in diffusing the political tension we have put ourselves in," Mpundu said. The suspended MPs have vowed to boycott the national assembly when Lungu appears again. They will walk out of parliament in September, when he attends the opening of parliament. Matibini, in turn, has promised harsher action. There are fears the standoff could continue until the 2021 general election. Lungu last weekend dismissed civil society’s calls for dialogue. "If anyone is calling for an indaba with whoever, whatsoever, whensoever, let them specify what we are going to discuss," he said. "I’m too busy." Addressing the critique from churches, an angry Lungu said: "If there was a crisis, investors wouldn’t be coming [into Zambia]. This crisis exists in their heads."